The use of sophisticated digital devices maximizes results. We implement procedures that meet international standards regarding hygiene as well as issues such as expertise and materials used. We are proud that our office provides the most innovative technologies in crowns, bridges, implants and endodontic treatments. Implants are metal root replicas made of titanium. Titanium is fully biocompatible..
Endodontic treatment (root canal) is the process that takes place when there is inflammation of..
Prosthetics is the branch of dentistry that deals mainly with the replacement of lost teeth.. 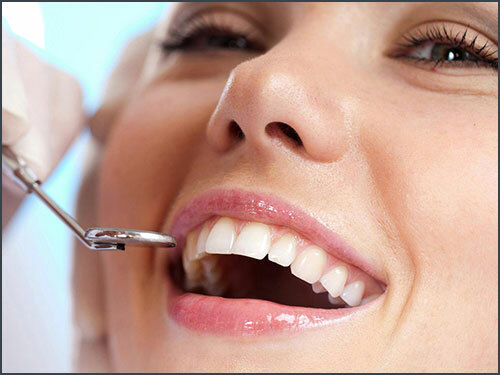 Cosmetic dentistry is the branch of dental science that deals with the treatment of aesthetic.. This is a specialized technique that removes the teeth discolouration and provides a full.. This is an impressive technique that can radically change the smile, as it can alter the color..
Clinical dental surgery often requires taking x-rays in order for an accurate and timely diagnosis..
With the help of an intraoral or laboratory scanner, we receive a digital three-dimensional image.. The implementation of the dental microscope is a revolutionary innovation in modern dentistry..
Paedodontics is the branch of dentistry that is involved with monitoring the health of..
Periodontology is the name given to the dental sector that deals with diseases of the tissues..
At the Asklepios Dental Care Clinic a number of surgical operations are performed..
We treat all dental and stomatological cases from simple cleaning to full reconstruction of the oral cavity and the diagnosis of oral problems.